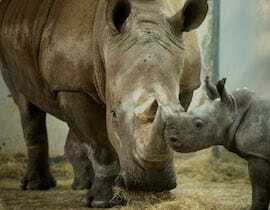 Wildlife Friday: Disney’s Animal Kingdom Welcomes White Rhino Calf to the Herd! Our baby boom continues! Join us in saying, “Afya njema!” to wish the newest baby at Disney’s Animal Kingdom “good health” in Swahili. Earlier this month, a white rhino, also a first-time mom born at Disney’s Animal Kingdom in 2005, gave birth to a healthy baby boy! 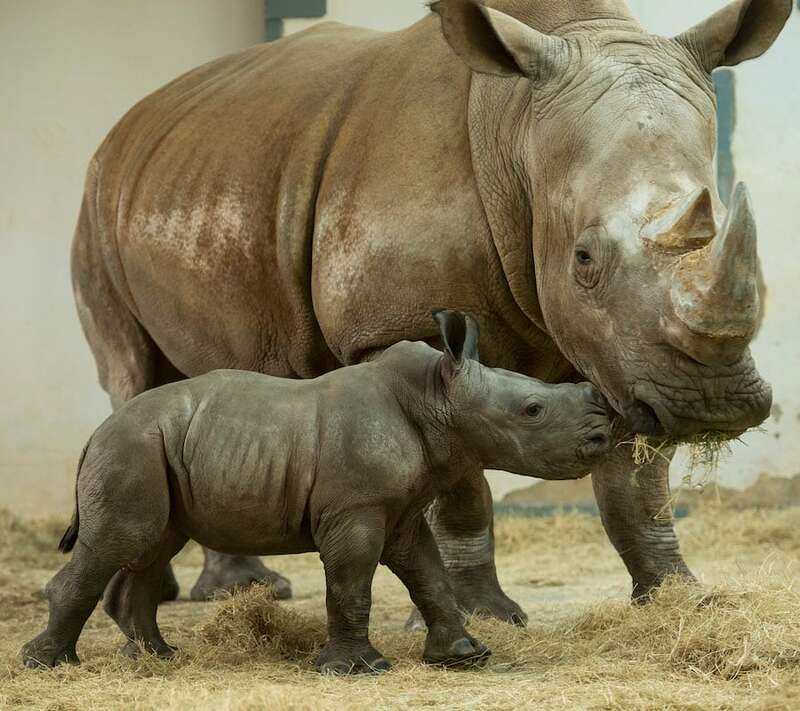 The new baby’s grandmother was also born at the park and regularly roams the savannahs of the Harambe Wildlife Reserve, making this new calf the third generation of white rhinos born here. The new mom is being appropriately protective of her son, but our animal care team has been keeping up with mother and child to assure that both are thriving! Despite their name, white rhinos are actually grey in color and sport two horns on their large head. These horns are made of fibrous keratin, just like our fingernails. While rhinos have good hearing and sense of smell, they have poor vision and cannot discern a motionless person at a distance of more than 100 feet. Native to central and southern Africa, the white rhino loves grassy areas and will graze several times a day. This mild-mannered animal usually keeps its family group small and tightly-knit. Rhinos are born weighing up to 143 pounds. (Talk about a big baby!) Fully grown females will grow to be anywhere from 3,000 to 4,000 pounds while adult males can be up to 5,000 pounds. 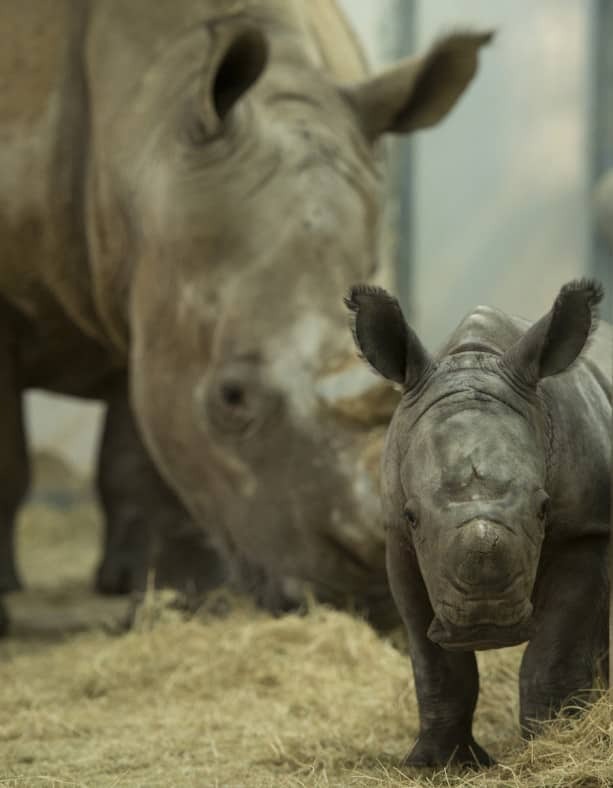 This new rhino calf is the ninth white rhino born at Disney’s Animal Kingdom and we are happy to see our herd of rhinos continue to grow. Unfortunately, this has not been the case in the wild. Last year, rhinos faced the worst poaching in history, leaving the northern white rhino extinct in the wild. Its cousin in the south, appropriately named the southern white rhino, is severely endangered and without continued conservation efforts, will meet the same fate. 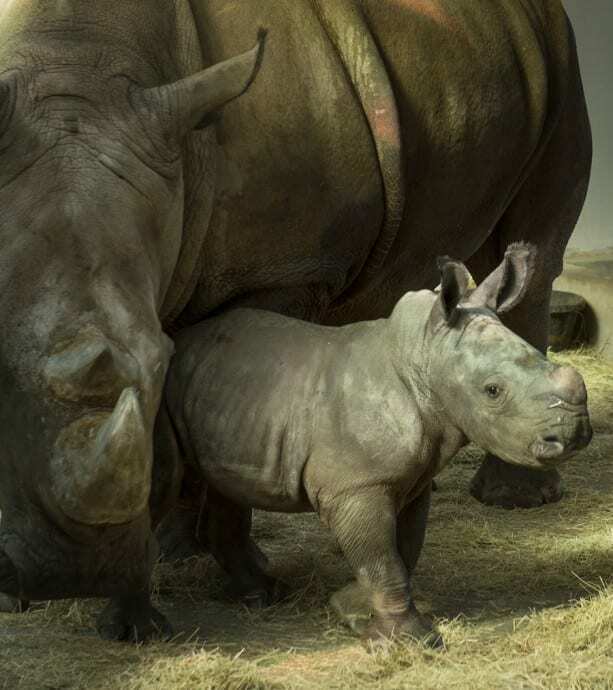 Several cast members at Disney’s Animal Kingdom are board members for the International Rhino Foundation (IRF) and work closely in efforts to help protect rhinos in the wild. The Disney Worldwide Conservation Fund (DWCF) also contributes to rhino conservation, research and habitat protection projects for rhinos throughout the world. As a guest, there are plenty of ways you may have contributed—adding a dollar to your purchase, picking up a sponsored pin or merchandise item, enjoying the Wild Africa Trek excursion at Disney’s Animal Kingdom or snorkeling at The Seas with Nemo & Friends. 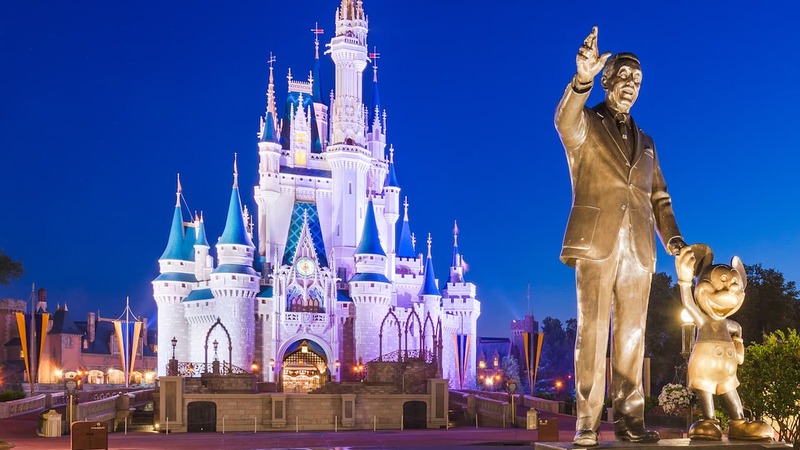 Every donation, big or small, adds up and is combined with support from Disney, which in turn has given all of us something amazing to celebrate. The celebration of our newest baby birth will continue for months to come and be sure to look for both mom and baby to join the rest of the herd on the savannahs of Kilimanjaro Safaris over the next few months. 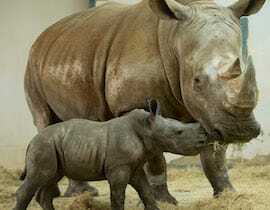 Share Wildlife Friday: Disney’s Animal Kingdom Welcomes White Rhino Calf to the Herd! Are the white rhinos in Animal Kingdom the Northern or Southern subspecies of the white rhinos? will this angel be seen on Kilimanjaro Safari in May? I have an autistic daughter who is very interested in wildlife conservation. Both mom and baby are expected to make their debut on Kilimanjaro Safaris this spring. There are plenty of opportunities to learn about wildlife conservation throughout Disney’s Animal Kingdom especially at Rafiki’s Planet Watch, Pangani Forest Exploration Trail and Maharajah Jungle Trek. I hope you and your daughter are able to spend time learning more in these areas on your next visit! Welcome to the blog Ms. Robyn! What a surprise it was when we spotted this little guy on our train ride to Rafiki’s Planet Watch this past Wednesday. We also had a great view of the mama gorilla with her new baby while walking through the Panjani Forest Exploration Trail. Thanks for the great post and for all that Disney and the AK cast members do in support of conservation efforts around the world. It’s your professional dedication and enthusiasm for public education that ensure we all do our part to protect the future populations of these majestic animals!